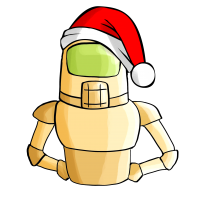 RoS-BoT 1.0b is available ! Thanks to all people who supported us. Any "Custom Script" can be shared with the community. The feature will be improved over time. Here follows the release note. Can't select it in the sequence dropdown, so i'm going with Knocked Out. KO is the boolean negative of OK.
Hope to see an updated version soon that can at least farm keystone trials. I can do grifts manually for now. Sooo only rifts dont work? Uber key farming is fine? Hi the bot dont work for me anymore.. starting barb hota and any script, it just teleports to the right place then it just stands there at the teleport it wont run, what to do? Key binding were reset with the patch. It's not just DH class. Pretty much every class that has skill set as primary attack that's ranged gets stuck with this issue.